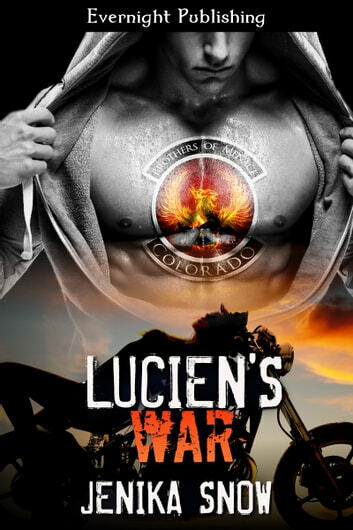 Lucien Silver is the president of The Brothers of Menace MC. He knows he screwed up three months ago by letting the daughter of the VP of his club stay at his house one night. Callie is young and off limits, and although nothing happened between them, he should have told her father, Kink. Lucien may want Callie desperately, but having her would be a betrayal of Kink and the club. Callie wants Lucien, and she knows he wants her, too. But being with him would cause bad blood between her dad and Lucien. She doesn&apos;t want club relationships ruined, but her feelings for him grow, and Callie knows she can&apos;t stay away. When Kink catches Lucien with Callie together all hell breaks loose. Lifelong friendships are tested, blood is spilled, and anger and pain entwine. Lucien and Callie must decide if being together is worth it all. I like this story but having an 18 year old as a love interest is a bit weird. It was entertaining and kept me reading till the end.